Here you can find out all the exciting things we are learning about! We will also have useful information for parents, relating to the things we are doing and the subjects we are learning. In numeracy we are learning all about multiplication and division. We have began to multiply 3 numbers as well as multiplying 3 digit numbers, mentally! We use place value and partitioning to help us multiply mentally. In Literacy we are learning all about newspapers. We have learnt about what makes an excellent newspaper, the different features included in a newspaper and the structure of a newspaper. We have had a lot of fun using play on words, puns and alliteration to create catchy headlines. We have even had a go at writing our own newspaper report on our Rememberance assembly! 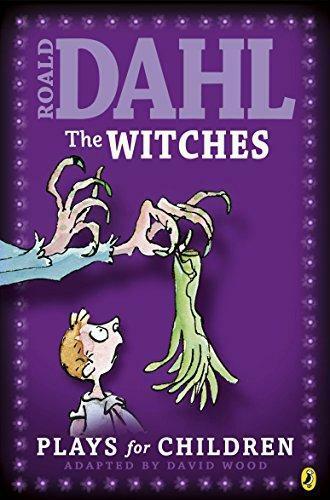 We are currently reading a playscript called 'The Witches' by Roald Dahl. We are having lots of fun bringing the playscript to life following the stage directions and acting it out. This term we are focusing on using our inference and retrieval skills. Why not try practice these skills when reading at home? Ask someone to ask you questions about your book. Then, try and infer the characters feelings! Our topic this term is 'Animals including Humans'. We have learnt all about the digestive system, using a range of scientific language to describe the process. Ask us how we digest our food, I bet we will shock you with the fancy scientific terminology we use! We have also been looking at human and animal teeth. We are able to tell you the different teeth and their functions. We have had a go at moulding the different teeth with playdough, we had loads of fun! This term we are doing dance and rugby! We have been creating lots of different line dances focusing on staying in sync, expression on faces, movement and rhythm. Don't forget, PE is on Monday's and Thursday's. Please make sure you have your PE kit! This term we are going to be using our new chrome books. We will learn lots of new skills and using an online classroom. How exciting! Have fun learning with the New Reggae Beatz Songs Featuring Todd & Ziggy! The song is so catchy it will stay in your head - along with the times tables! Recognise the melody? The six times table with Todd & Ziggy is so catchy it will stay in your head - along with the times tables! Times Tables Rockstars TTR is a great way for learning your times tables! Keep practicing at home to build up your coins and your scores!